Home» Southern Blog » Dry vs. 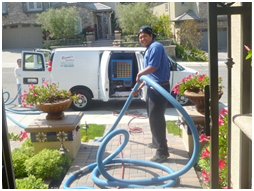 Wet Carpet Cleaning – Which Is Really The Best? This is an ongoing debate in the carpet industry. The companies that promote truck mount hot water extraction or often referred to as “steam cleaning” claim that dry or low-moisture methods don’t clean as deeply as wet cleaning. Companies who use the new low-moisture or dry cleaning systems often point out the fact that hot water extraction, or steam cleaning, typically over wets the carpet, penetrates the padding and leaves a soapy, crusty residue. If you think about it, if dirty water is removed from the carpet, but the carpet is left wet, isn’t the moisture remaining in the carpet the exact same dirty water? Tests have proven that to remove the dirty water to an acceptable level with hot water extraction (or steam cleaning), the carpets would need to be thoroughly rinsed as many as 16 times. Dry (or low moisture) carpet cleaning systems also utilize eco-friendly green cleaning agents (chemical and residue free). Think about it. 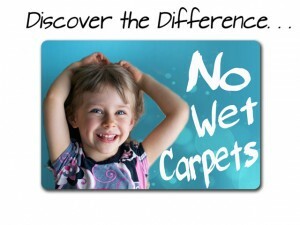 Would you prefer to be left with wet, gushy, icky carpet or totally dry, clean, soft and fresh carpet? Rest assured that your carpet is in experienced and professional hands when you call Southern Dry Carpet Cleaning. You’ll love it… We Guarantee It!